Display your conference logo and your member schools on your wall with our colorful quality wall signs! These signs or banners are a great way to display your conference logo and also list the other member schools in your conference. They are digitally printed and are decorated with member schools mascots and colors. 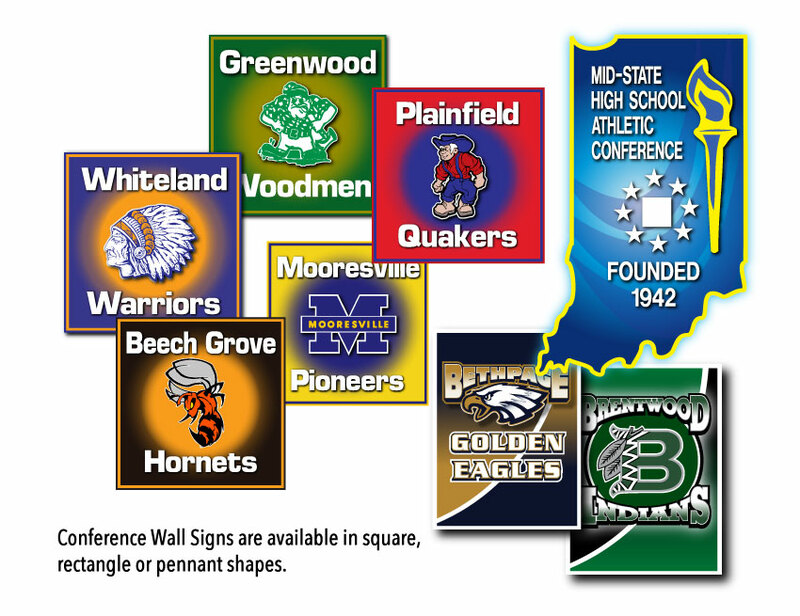 What a great way to display your conference logo and member schools on your gym, lobby or swimming walls! Purchase a set for each school in the conference and receive a DISCOUNT!